It’s probably been decades since Stephen King adaptations have had a year as big as 2017, with the awful Dark Tower movie, the pretty good It movie, the good Gerald’s Game movie, the medium Mr. Mercedes TV show, the not-out-yet 1922 movie, and the still-in-development Castle Rock show, and now Gaumont Television is throwing another one onto the pile. 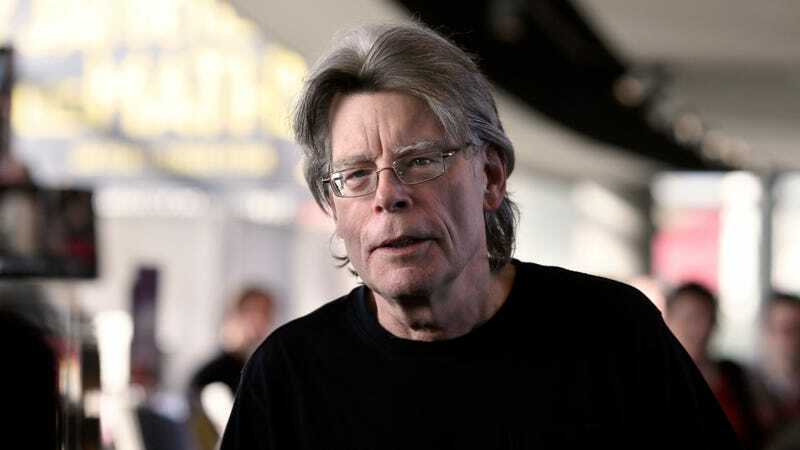 According to Deadline, the studio is developing an adaptation of N., King’s 2008 novella about some people who are obsessed with a circle of eight stones that supposedly guard a gateway to another universe. The original story is a nested narrative, following a line of people becoming obsessed with the stones because other people are obsessed with the stones, but it sounds like the TV show will streamline things a bit and turn it into a slight (and understandable) rip-off of It. Rather than three people who encounter this weird circle at different times, the show will be about three people who find the stones as teenagers, escape from some “malicious force,” and then reconnect 25 years later. Also, the show will be called 8 instead of N., which is only slightly better. The pilot episode of 8 will be directed by Annabelle: Creation’s David F. Sandberg, with the script coming from Ant-Man And The Wasp writers Andrew Barrer and Gabe Ferrari. It doesn’t sound like a network is attached, but surely someone will pick it up before people get sick of Stephen King. That hasn’t happened in the last 40 years, but you never know.